Actress Keri Russell makes her animation debut as the voice of the title character in Wonder Woman, the next entry in the series of DC Universe animated original PG-13 movies arriving today (March 3) on DVD, Blu-ray, OnDemand, Pay-Per-View as well as available for download. Following her first-ever voiceover recording for an animated film, as Wonder Woman, she chatted about the cool factor of owning an invisible jet, Halloween costumes of her youth, potential future Russell-Fillion co-starring roles, and a super hero supplies store. Wonder Woman, the fourth entry in the DC Universe animated original movie series, will receive a West Coast big screen premiere at WonderCon on February 27, 2009 in the Moscone Center in San Francisco. Madsen, making her first-ever Con appearance, provides the voice of Hippolyta, Queen of the Amazons and mother to Diana/Wonder Woman. She is joined in the stellar voice cast by Keri Russell, Nathan Fillion, Alfred Molina, Rosario Dawson, Oliver Platt and David McCallum. 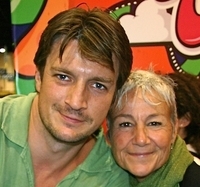 Nathan Fillion, star of Joss Whedonâ€™s â€œFireflyâ€ and â€œSerenity,â€ will do double duty this March as the title character in ABCâ€™s â€œCastleâ€ and the voice of Steve Trevor in â€œWonder Woman,â€ the next entry in the series of DC Universe animated original PG-13 movies due from Warner Bros. Animation on March 3, 2009. Fillion found time away from his upcoming series to chat about his tendency to play the anti-hero, an unrelenting Halo addiction, Canadian super heroes, and Keri Russellâ€™s tiara. Vicki Lewis makes her second foray into the world of super heroes as Persephone, a key character among the Amazons in â€œWonder Woman,â€ the next entry in the series of DC Universe animated original PG-13 movies. Warner Home Video will release the all-new â€œWonder Womanâ€ on March 3, 2009 on DVD, Blu-ray Disc, OnDemand, Pay-Per-View and Download. Lewis made her DCU film debut in â€œJustice League: The New Frontierâ€ as Iris West, fiancÃ© to the Flash. However, Lewis is no stranger to animation, having voiced characters in â€œFinding Nemo,â€ â€œKing of the Hill,â€ â€œBen 10: Alien Forceâ€ and the upcoming â€œPenguins of Madagascarâ€ among many more. Lewis found time in her busy schedule to talk about finding the voice of a character, channeling Velma Kelly, and an addiction to Tetris. 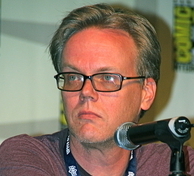 Bruce Timm heads an impressive cast and crew as producer of â€œWonder Woman,â€ the next entry in the series of DC Universe animated original PG-13 movies due on March 3, 2009. Warner Home Video will distribute the movie on DVD, Blu-ray Disc, OnDemand, Pay-Per-View and via digital download. Fans in the New York area will have a chance to see the premiere of â€œWonder Womanâ€ at New York ComicCon on Friday, February 6 in the IGN Theatre at The Javits Center. Timm will lead the post-premiere panel and also be available for autographs during a midday signing session on Saturday, February 7. The three-time Emmy Award winner took few moments to discuss the evolution of the made-for-DVD movies, Lauren Montgomeryâ€™s rise to stardom, his 20-year working collaboration with Andrea Romano, and Wonder Womanâ€™s boots. Academy Award nominee Virginia Madsen brings her voice to the role of Hippolyta, Queen of the Amazons, for “Wonder Woman,” the next entry in the series of DC Universe animated original PG-13 films. The all-new film will be released on DVD, Blu-ray, OnDemand, Pay-Per-View, and download on March 3, 2009. Writer Michael Jelenic makes the leap from animated television to feature-length films with his script for “Wonder Woman,” the next entry in the series of DC Universe animated original PG-13 films. The all-new film will be released on DVD, Blu-ray, OnDemand, Pay-Per-View, and download on March 3, 2009. Jelenic stepped away from his laptop to answer a few questions about the thoughts behind the words and story of “Wonder Woman,” the challenges of pleasing every fan, and the un-coolness of working in the comics realm. 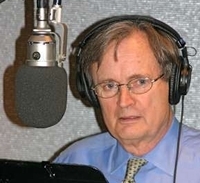 Criminal investigation meets Greek mythology when current primetime television stars David McCallum and Marg Helgenberger assume the voices of Zeus and Hera, respectively, for â€œWonder Woman,â€ the all-new animated movie scheduled for release on March 3, 2009; available on DVD, Blu-ray, OnDemand, Pay-Per-View, and Download. Helgenberger is best known for her role in â€œCSI: Crime Scene Investigationâ€ where she is approaching her 200th episode as Catherine Willows, the seriesâ€™ female lead. QUESTION: Youâ€™ve played a number of interesting roles, but whatâ€™s your take on voicing a god? Alfred Molina voices the suave and ruthless Ares, the God of War, in DC Universe’s upcoming Wonder Woman. The all-new film will be released on March 3, 2009 on Blu-ray, DVD, OnDemand, Pay-Per-View and for download. “Wonder Woman” is not Molina’s first turn in animation, in fact, he voiced King Gustav for the two-part “Maid of Honor” episode of the “Justice League” animated series. 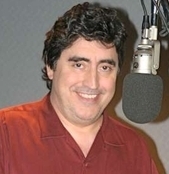 QUESTION: Alfred Molina voicing Are, the God of War. That’s a nice title. ALFRED MOLINA: Yeah. I’m thinking of changing my name professionally to Ares, the God of War. I think I might just do that. Andrea Romano, regarded as one of the best casting/dialogue directors on the animation scene today, brings the voices of DC Universe’s upcoming Wonder Woman. The all-new film will be released on March 3, 2009 on Blu-ray, DVD, OnDemand, Pay-Per-View and for download. Wonder Woman is the fourth DC Universe film in the ongoing series, and Romano has returned â€“ after the first three successful ventures â€“ to cast and direct the likes of Keri Russell, Nathan Fillion, Alfred Molina, Virginia Madsen, Oliver Platt and Rosario Dawson. Romano found time between recording sessions to discuss the stellar Wonder Woman cast, the intricacies of matching voices to roles, a little advice to the masses of hopeful voiceover artists, and a short list of actors she one-day hopes to direct.